Probably be about 4 of us. Heated enclosure preferred. Looking to get on some steelhead. Thanks. 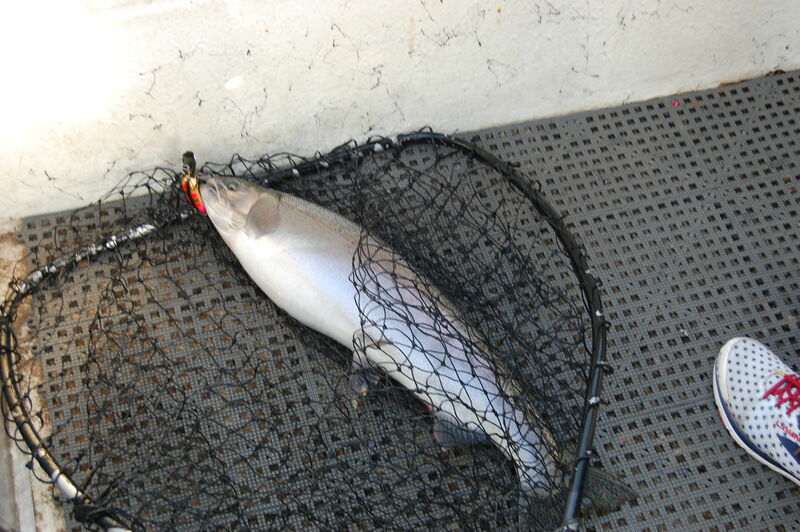 With all the rain and snowmelt, it will be well into March before the river is back in shape for steelhead fishing. Real disaster upstream of Berrien Springs all the way to St. Joe. I reserved a charter with Coho Bob. Looking forward to it. Be sure to report back on how you do. Pictures!! We went 2 for 3 on a cold blustery day. Bob worked his tail off moving us up and down the river trying to get us on the fish. 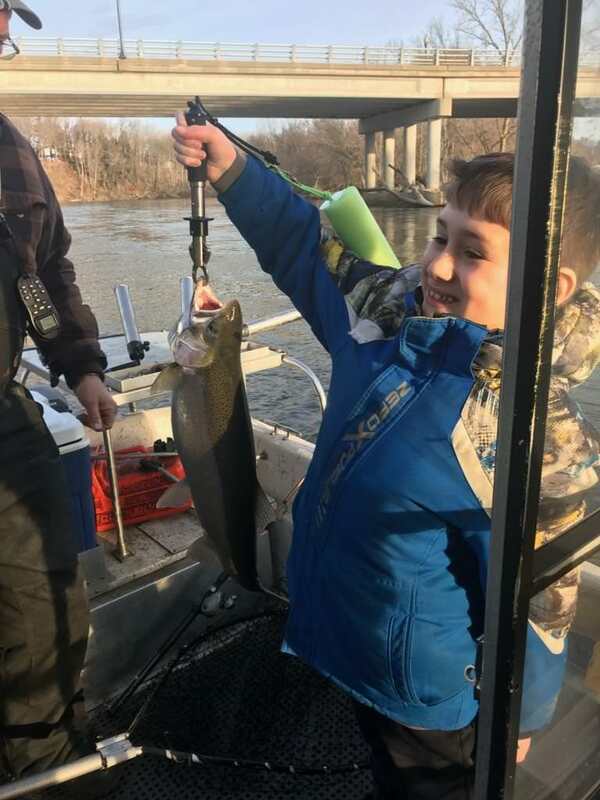 My nephew landed his first steelhead, so it was all good. Yakima mag lips were the ticket. Both hens. One was 7.5 lbs and the other 7. Bob posted a video of Trent catching his fish.